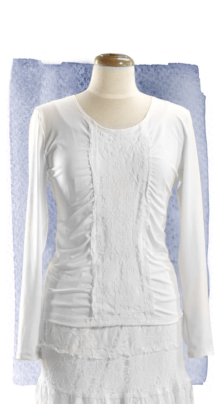 Flattering on everyone, a soft, stretch knit top with a diagonal hemline trimmed in 2″ of pebble georgette. 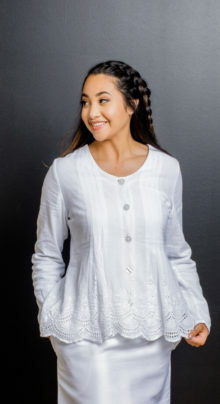 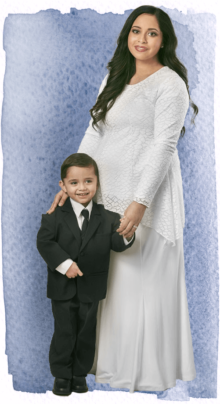 Such a perfect addition to your LDS Temple wardrobe or a terrific, easy to wear top with jeans. 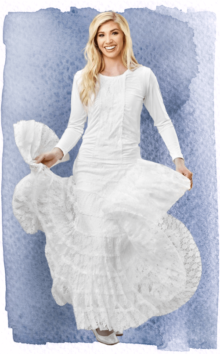 Shown with Georgette skirt and Shantung A-line skirt.